A community revolving loan fund (CRLF) is an economic development tool in which a pool of money is used for the purpose of making loans to individuals and businesses in the community. As loans are repaid by the borrowers, the money is returned to the loan fund, creating the opportunity to issue new loans to other businesses. 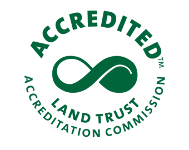 The CRLF seeks to build stronger communities by creating job opportunities and supporting entrepreneurial initiatives by providing financing for microenterprises located within Athens-Clarke County. 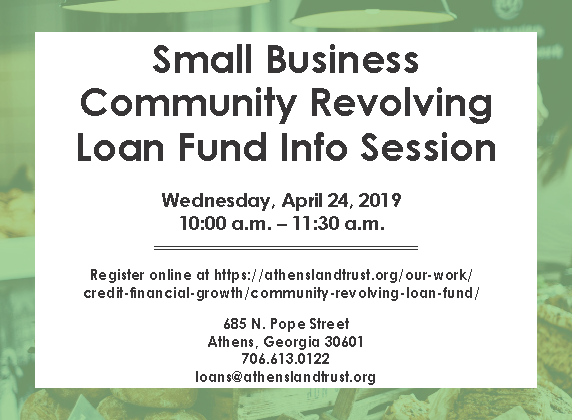 Join us for an upcoming Information Session to learn more about the Community Revolving Loan Fund. All potential candidates are required to attend an information session before applying. Applications can only be picked up at the required info session. Sessions are held on the last Wednesday of every month from 10:00 a.m. – 11:30 a.m. There will be one evening session held each month. Dates and times of evening sessions will be posted once available. All potential candidates are required to attend an information session before applying. Applications can only be picked up at the required info session. To Register online, please fill out the electronic form below. Fields with a red * are mandatory and must be filled in to complete the registration form. When you are finished, please click submit to complete your registration.